Like many Year 12 students at this time of the year Mahmood Moosavi is busy juggling his revision timetable in the lead up to exams. However the 23-year-old's path to completing the South Australian Certificate of Education (SACE) has been unlike any other. 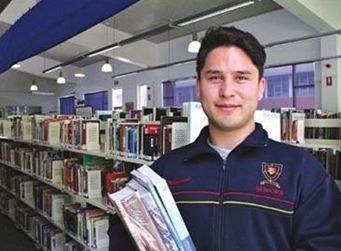 Mahmood is an Afghan asylum seeker who received a bursary to study at Saint Ignatius' College. With gratitude to our community of donors, Saint Ignatius' College supports many students to attend the College each year through The Ignatian Bursary Fund, enabling young people who wouldn't ordinarily be in a position to gain an Ignatian education, the education we so highly value.